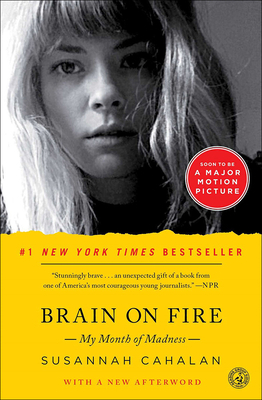 An award-winning memoir and instant "New York Times" bestseller that goes far beyond its riveting medical mystery, "Brain on Fire" is the powerful account of one woman's struggle to recapture her identity. When twenty-four-year-old Susannah Cahalan woke up alone in a hospital room, strapped to her bed and unable to move or speak, she had no memory of how she'd gotten there. Days earlier, she had been on the threshold of a new, adult life: at the beginning of her first serious relationship and a promising career at a major New York newspaper. Now she was labeled violent, psychotic, a flight risk. What happened? In a swift and breathtaking narrative, Susannah tells the astonishing true story of her descent into madness, her family's inspiring faith in her, and the lifesaving diagnosis that nearly didn't happen. "A fascinating look at the disease that . . . could have cost this vibrant, vital young woman her life" ("People"), "Brain on Fire" is an unforgettable exploration of memory and identity, faith and love, and a profoundly compelling tale of survival and perseverance that is destined to become a classic.